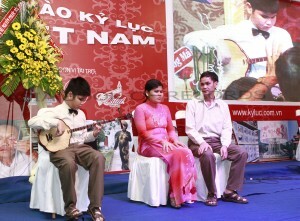 Bui Ngoc Thinh, born in 2000, in Ninh Hoa, Khanh Hoa Province, Vietnam, is able to play 5 instruments proficiently namely Guitar, Organ, Drum, Sen, Chord Fiddle at the age of only 5 years and had composed 3 songs Cho ta (For me), Ước mơ (Dreams) and Tung tăng (Go freely), despite of being born blind. 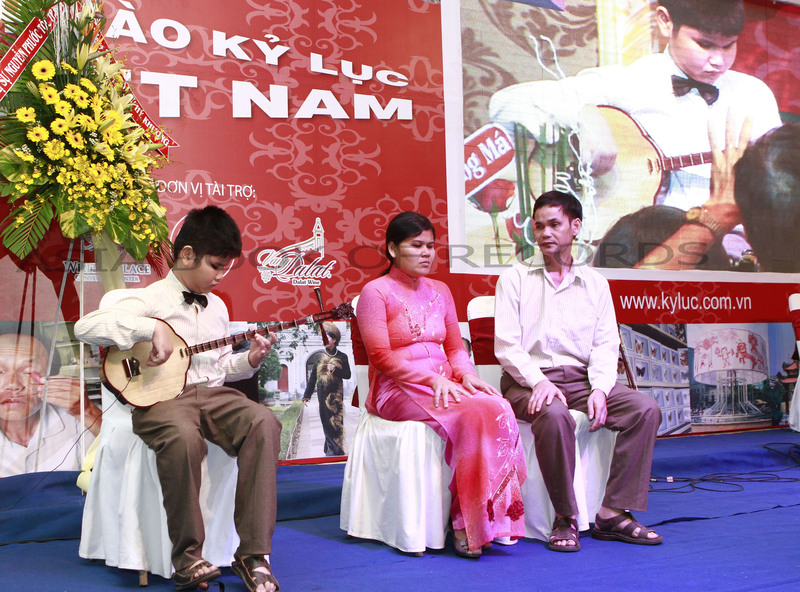 He has also won the first prize for this and second prize in playing solo organ at “Singing from the heart” festival held by Khanh Hoa Blind Association, Vietnam. Comments for BLIND BOY PLAYS MOST INSTRUMENTS are now closed.